Summer brings light, happiness, warmth, and most importantly- love! Summer is the most popular time of the year to get married. With all of the time, effort, and thought that goes into making your wedding day special, you want to make sure that your flowers are special too! Here are the top 5 flowers that are perfect for a summer wedding! These dahlias are the most romantic of them all! They make for beautiful arrangements and are in high demand for weddings. They come in shades of creamy pink, blush, peach, ivory, champagne, and dusty rose! The majolica spray rose comes in beautiful shades of white, cream, and blush! Their gorgeous hues are soft and romantic. Their center is golden when they are fully bloomed and they look similar to a garden rose. The Majolica spray rose’s delicacy, grace, and beauty is what makes them a perfect choice for a summer wedding. Delphinium adds just the right touch of elegance and color to any wedding arrangement!They bloom from late spring into early summer. These elegant summer flowers come in shades of blue, pink, purple, and white! Hydrangea is a classic wedding flower. They bloom in blue, pink, white, or yellow throughout the summer! You do not need many stems of this stunning flower to make quite a statement on your big day. Timeless, elegant, romantic, and bold- Hydrangea is the perfect addition to any summer wedding arrangement. A gorgeous bloom, lisianthus comes in shades of pink, white, and purple. It also comes in bi-colors such as white-pink or blue-violet! Lisianthus carries many meanings, one of them being “the joining of two people for a lifelong bond,” which could not be more perfect for a wedding! It is also linked to devotion. If you’re looking for the perfect summer flowers for your special day, we at The Flower Factory can work with you and use any of these flowers and more to make bridal bouquets and centerpieces! The official birth flower of August is the Gladiolus! It is one of the most gorgeous and vibrant summer flowers! The flowers grow from a tall spike lined with sharp leaves, like a sword! Which is how they got their nickname- “sword lily” that comes from the Latin name “Gladius” which means sword! The gladiolus symbolizes love at first sight when given to someone, and that the giver’s heart is pierced with love. The August birth flower symbolizes persistence, strength, grace, resilience, loyalty, faithfulness, and infatuation. The color of the gladioli also changes the meaning! With its gorgeous vibrant hues, and deep symbolism, the gladiolus is the perfect flower to give as a birthday gift for an August baby. Say Happy Birthday with a beautiful gladiolus arrangement! Dahlias come in a range of vibrant colors, sizes, and styles. There are 30 species and cultivars of Dahlias! These flowers bloom very beautifully and thrive in the summer. The common dahlia symbolizes inner strength, commitment to a person, and grace. It is also the birth flower of August! Sunflowers are a classic summer flower due to their beautiful color, size, and boldness. More than 60 varieties of sunflowers are found around the world in different shades. They symbolize adoration, loyalty, and longevity and are a wonderful addition to any summer bouquet. Peonies are a very popular summer flower! These beautiful flowers come in every single color except blue. They start to bloom in late April and bloom well-into late June! They symbolize good fortune and are the perfect flower to add to your summer arrangement. The cymbidium orchid is one of the most popular and desired orchids in the world because of the sheer beauty of the flower. There are 44 species of cymbidium orchids and they come in a plethora of colors! Cymbidium is native of tropical and subtropical Asia. They add elegance and beauty to any arrangement, their bold hues and tropical look make them an ideal summer flower! Gerbera daisies bloom all year long, providing bright color all year round. Gerbera daisies bloom in blazing red, bright orange, sunny yellow and various shades of pinks! Pastel colors include pale to medium pink, soft yellows, peach and light purple. The hydrangea plant is native to Japan, they bloom from the late spring through the summer. 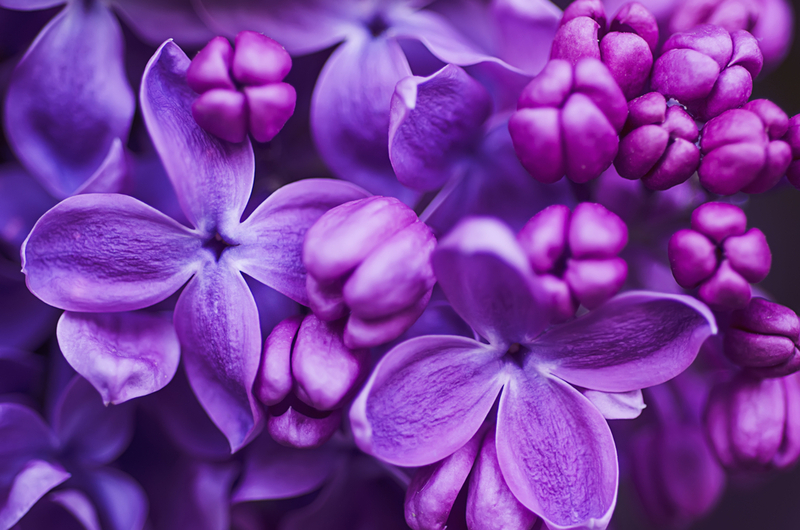 There are around 70-75 species of hydrangea! They come in blue, pink, white, purple, or yellow. Because of The Flower Factory’s location in Tarzana, California we are fortunate enough to have these blooms all year round due to the warm climate! Stop by and take a look at our beautiful variety of these summer flowers. Roses have been a significant flower for many occasions for over centuries. In fact, June is national rose month! The amount of roses and the exact color given hold a deep sentiment. Have you ever wondered what exactly each color symbolizes? Now the next time you give roses you’ll know what each color and amount represents! Send the right message with us! The leading risk factor for breast cancer is simply being a woman. Though breast cancer does occur in men, the disease is 100 times more common in women than in men and women are at 200 times the risk of developing the disease compared to risk in men. Most breast cancer – about 85 percent – occurs in women who have no family history of breast cancer. About 5 to 10 percent of breast cancerscan be traced to specific, inherited gene mutations, such as the BRCA1 and BRCA2 gene mutations. A woman born today has about a one in eight chance of being diagnosed with breast cancer in her lifetime, according to the National Cancer Institute. The American Cancer Societyestimates about 2.8 million women with a history of breast cancer live in the U.S. While much progress has been made in breast cancer treatment and research, more work remains: Breast cancer remains the second-leading cause of cancer death after lung cancer. Overall, cancer deaths are the second most-common cause of death for U.S. women, after heart disease. Another top risk factor for breast cancer: Simply getting older – 79 percent of new cases and 88 percent of deaths occurred in women age 50 and older, according to the American Cancer Society. Just fewer than 11,000 invasive cases occurred in women younger than 40, and just under 49,000 in women under 50. In women ages 50 to 64, invasive breast cancer was even more prevalent with more than 84,000 cases. Women over age 65 accounted for more than 99,000 cases last year. In the 1970s, breast cancer lifetime risk was one in 11 – compared to today’s one in eight. The good news is part of the reason is due to longer life expectancy and more detection through screening. Other factors include menopausal hormone use, changes in reproductive patterns and the increased prevalence of obesity. The oft-repeated one in eight statistic may mean something different thanyou think. The lifetime risk for women born today of being diagnosed with breast cancer is one in eight. But lifetime risk reflects an average woman’s risk over her entire lifetime, including the possibility that she may die from another cause before she would have been diagnosed with breast cancer. Women of Ashkenazi Jewish heritage are at higher risk of having BRCA mutation. The U.S. Preventive Services Task Force recommends testing for BRCAmutations for Ashkenazi Jewish women if they have a first-degree relative with breast or ovarian cancer or two second-degree relatives on the same side of the family with breast or ovarian cancer. Not everyone needs genetic screening for breast cancer. Only about 2 percent of women meet the guidelines for screening. Fewer than 1 percent of the general population have a BRCAmutation. Research suggests breastfeeding for a year or more slightly reduces overall risk of breast cancer – about a 4.3 percent reduction for every 12 months of breastfeeding. Why? One possible explanation: Breastfeeding often interrupts periods, meaning fewer menstrual cycles and less estrogen exposure. Others suggest that the reduced risk can be credited to structural changes in the breast after lactation and weaning. The movement away from one-size-fits all screening doesn’t mean you should skip your mammogram. Talk with your physician to evaluate your personal risk of breast cancer. The American Cancer Society continues to recommend yearly mammograms beginning at age 40. While the American Cancer Society recommends 150 minutes of moderate intensity exercise per week to manage risk, for some, even 30 minutes per week has been found to be beneficial, Bernstein’s research has found. The discovery of the BRCAmutation and its link to breast cancer celebrates its 20th anniversary this year – the same year scientists reported in the New England Journal of Medicine the PALB2mutation and its link to breast cancer. Only about 42 percent of women who undergo mastectomy choose to have reconstructive surgery, according to a recent JAMASurgery study. If you’ve been diagnosed with breast cancer, you’re up to four times more likely to develop a new cancer in the same breast or in the other breast. According to the National Institutes for Health, breast cancer survivors are at an increased risk of osteoporosis. Estrogen has a protective effect on bones, and reduced estrogen levels can trigger bone loss. Exercise is beneficial to breast cancer survivors. A June study in Cancer found only a third of survivors meet recommended activity levels. If you are diagnosed with breast cancer, a second opinion could save your life. NCI-designated comprehensive cancer centers, such as City of Hope, have higher rates of survival for breast cancer. The Flower Factory will be using breast cancer awareness month to urge women to participate in self-examinations and schedule mammograms for early detection. In Victorian times, each flower communicated some sort of sentiment much like they do today. Sending someone a floral bouquet with the hope that they love it and want to display it in their home or workplace is the intention of most givers. Sending something fresh and colorful to a loved one or friend on a birthday, anniversary or holiday is a customary practice in many parts of the world particularly the United States. Categories: flowers | Tags: florists, flowers, The Flower Factory | Permalink. Flowers have been the focus of celebrations around the world for centuries. 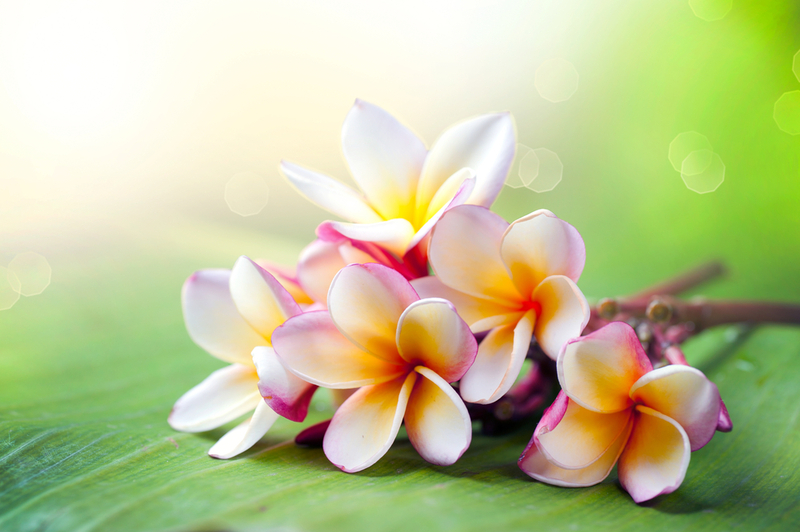 Known for their beauty and healing properties, they’ve been used to flavor foods, enhance perfumes and cosmetics, adorn hair, and decorate homes and gardens. Whenever someone wants to send well wishes, they select a floral arrangement and card to send to a family member, friend, neighbor or co-worker. Categories: flowers | Tags: flowers | Permalink.